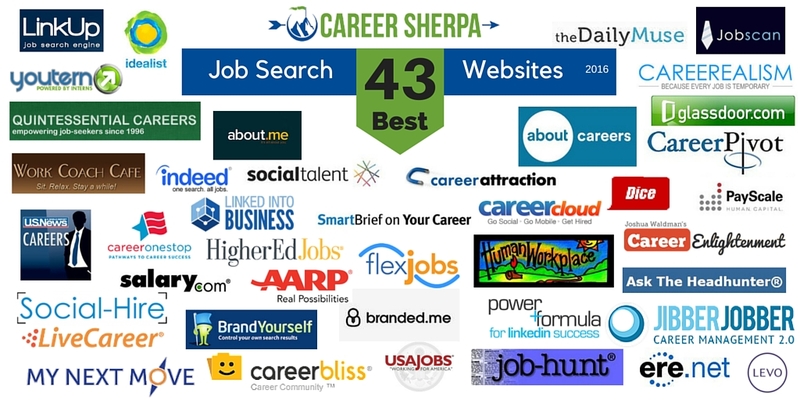 Welcome to this year’s list of the best job search websites for 2016. If you are new to job search, you probably have questions- how much money should I ask for, what questions will I be asked in an interview, what is the best way to find a job today, and many others. If you want to see the 50+ best websites for job search 2017, here they are. This definitive list is carefully curated for accurate, contemporary information and guidance from job search experts. I’ve compiled these resources based on several criteria: First, I regularly reference these sites myself to share quality content on social media. Two, in my opinion, the author(s)/publisher show an understanding of modern job search trends and methodologies. And third, these sites consistently provide answers to popular job search questions. Technically there are even more than 43 sites listed! All these resources are free because I don’t support companies that take advantage of job seekers. However, most do offer workshops, books, courses or paid services. I think most people can conduct a successful job search without paying a lot of money, but… savvy job seekers and careerists know when they need to invest in themselves. This is the place to go for real stories and learn about job search topics like interviewing and you’ll workplace tips too! You’ll find many voices reporting and writing about job search and trends. including: Ask A Manager, Collegial Services, Vicki Salemi, Jobhuntercoach, Career Sherpa, Career Valet, Hallie Crawford, Robin Madell, Chrissy Scivicque and Peter Gudmundsson. Great articles and information you’ll want for all aspects of your professional life! It covers career advice, job search, career paths, management, and more! There are even regular updates on cool companies you just may want to know about (because they are hiring)! You should also check out their free courses. Liz Ryan is on your side, not HR’s. She provides honest, straight forward advice and insight to help empower you. You’ll easily recognize and remember her work because of the colorful artwork used in every article. You’ll find job search advice and tips from carefully vetted experts on many topics from resume writing to personal branding. Easily and quickly customize your cover letter or any job search correspondence with these examples. There are also resume templates and articles, assessments and more! Nick speaks from a recruiter’s perspective, answering job search questions most other recruiters won’t or don’t. If you are more seasoned (read older) job seeker, you need to understand the issues, biases and how you can spin your experience into a valuable asset! 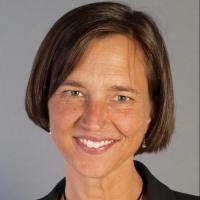 Kerry Hannon is a AARP’s job expert and covers issues that the older job seeker has to know in order to compete. You’ll find all the issues you need to take into consideration while hunting down your next job as a more seasoned professional. Marc Miller’s focus is helping Boomers pivot into the next opportunity. YouTern’s blog isn’t just for interns. The articles come from a variety of bloggers and apply to every job seeker! Always lots of great information! You must understand what HR and recruiters are thinking and how they are finding talent today. Learn what their issues and concerns are and get into their heads. Armed with this information, you’ll be a smarter seeker and position yourself as a better candidate for them to work with! Hiring professionals use social media, internet searches and many other methods, to source candidates. As a job seeker, you’re gonna want to understand some of their secrets. Hey, some of these hacks will help you learn about companies and people too! Joshua Waldman provides advice on how to use social media for your job search. Shameless self plug. I write about new and existing social media tools to help you stay competitive in today’s job search! LinkedIn is a category all in itself! Every working professional MUST BE using LinkedIn. It isn’t just an online resume, it is a networking tool and resource you’ll want to get familiar with. Use their iOS or Android apps for your smart phone too! Pretty much the authority on all things LinkedIn, Viveka knows her stuff! When I have a question about LinkedIn, I can be pretty sure that if Viveka doesn’t have the answer, Wayne does. Besides talking to recruiters and people who do what you do, you can and should use these salary calculators to determine your value in the market place. Searching the job boards is one of the least effective job search methods. Using specialty or niche job boards can be a better alternative. Depending on your industry or occupation, these may help you. Ask other people in your industry what niche job boards they use or recommend. Dice is known as being a job board for technical candidates (IT, etc.) However, the news and advice on the site applies to many more types of job seekers as well. Typically, the tech scene is leading the way in recruiting trends, especially as we head into a more competitive hiring market. And, I think you’ll begin to see Dice leading the way with other forms of recruiting. Because finding flexible jobs is difficult, this site helps round up all levels of legitimate opportunities. If you are looking for a telecommuting, part-time, freelance, or flextime job- you need to know about this site. It has job search advice for people looking for these types of jobs too! Search for jobs at colleges and universities with this niche job board. I don’t want to support your reliance and obsession with searching the job boards but if you must, here are ones you should reference: Indeed.com, SimplyHired, Monster.com and CareerBuilder are still good job boards. And don’t forget about CraigsList. Sponsored by the Department of Labor, this site has information on starting your search, finding a career match, information on re-training, and more. This site and app tracks company hiring announcements from newspapers, online media and company press releases. It’s one of a kind. Their instructions say follow the leads (ie. read the article) and google the company. A web-based tool to organize and manage your job search! It goes far beyond a standard spreadsheet. It helps keep track of and manage relationships, job postings, target companies and more! Do you want to know how your resume stacks up? Of course you do! This site will help you “optimize your resume keywords and get past resume screeners.” It compares your resume against the job posting you upload. Easily create a single webpage highlighting you. List your other social media profiles, create lists, join a community of people who value online visibility. Use this tool to improve how your name ranks in search results and to improve your online visibility. Job search apps come and go pretty quickly. I will cover newer apps on my site as they become popular. Twitter has always been my favorite social network! Use it to read, learn and network! 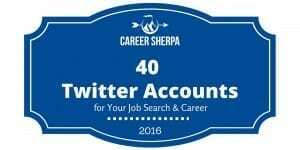 I’ve made it super simple for you to follow job search and career experts. You should try it! The 2016 list is here. Follow these experts for job search advice and guidance. There are lots more people writing great content about job search, but I have to stop somewhere. (See Summary Sunday posts for work by many other strong voices). Here are some people I know, like and trust. Please check these sites out too!